As we look back at 2015, Apple Pay, Android Pay and mobile money transfer entrants such as Venmo gathered a lot of steam, and it is likely that 2015 will go down in history books as “the year money went mobile.” Fueled in large part by the ubiquity of smartphones, consumers are becoming increasingly reliant on mobile wallets and apps to move money, and it’s clear that consumers are interested in ways to use their phones in lieu of traditional bank cards at ATMs and other devices. It is only a matter of time before cardless transactions begin to outpace those that rely on traditional bank cards. In fact, several, financial institutions including banks and credit unions have already announced card-free ATM technology on select ATMs. However, while being able to withdraw your own money if you don’t have your card is certainly a perk and offers increased security, credit unions should also be aware of the benefits available through next-generation technologies that are pushing the boundaries of cardless ATM withdrawals – particularly as those unable, or unlikely, to use a bank, look to technology to bridge the gap in money transfer and remittance. What is a Mobile Cardless ATM Cash Withdrawal? While cardless ATM technology generated some buzz last year, the majority of cardless technologies implemented on ATMs were in response to “forgot your card” convenience. This is just the tip of the iceberg. Mobile cardless ATM cash withdrawals can go beyond simple personal withdrawals. Through a mobile money transfer, consumers have instant access to cash-in-hand without the need for an ATM card or bank account. Recently available in the U.S. through dual-pin authentication, a transfer partner sends a text to the money recipient’s phone revealing a secure PIN, which they enter along with a code the sender provides. In minutes, the recipient is able to pick up their cash at a transfer partner-enabled ATM at their convenience, which they can also locate through the app on their phone. It has long been the mandate of credit unions to create economic efficiencies for their members. More and more members – some of which may not be taking full advantage of credit union products and services (i.e., the underbanked) and some of which may have a need to send money to unbanked friends or relatives – have a very high propensity toward mobile and smartphones. Therefore, by offering mobile cardless ATM withdrawals, credit unions can well-position themselves with members and non-members alike as a source of a tech-based service that is secure, quick and cost-effective to both the sender and recipient. In order to truly understand how this technology is beneficial to these underserved markets and why the adoption rate can be quick, one first must understand each subset of this group. • The unbanked and underbanked: According to the Federal Reserve System’s 2015 Consumer and Mobile Financial Services, 65% of the unbanked and 73% of underbanked have access to smartphones, and these numbers are rising. Money transfer services have become a highly dependable source of household income both domestically and for friends and family overseas, and as the foreign-born population in the U.S. continues to increase, the demand for such services will only become greater. 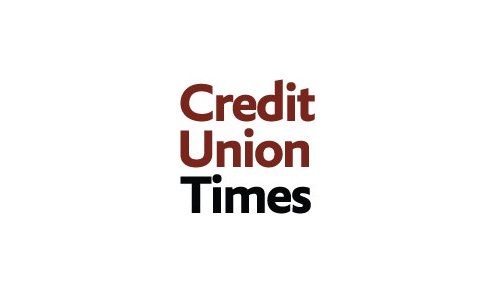 Unlike traditional remittance providers, credit unions are ideally positioned to offer secure and affordable money transfer services that can help to improve the lives of their members and their families through mobile cardless ATM withdrawals. • The next generation: Despite their reputation as technology leaders and innovators, college students are generally banking-averse and have been slow to embrace mobile banking. According to a recent survey by Mintel, while 64% of students have downloaded their bank’s mobile application, only 18% use their smartphone to conduct more than half of their transactions. And, just 39% of those who have downloaded their bank’s app to their smartphone use it to deposit checks, likely from a parent or grandparent to fund the college lifestyle. For members who have children away at college, or want to send a gift to a grandchild who has a phone, but not a bank account, mobile cardless ATM withdrawals offer a great opportunity for credit unions to position themselves as providers of high-tech, relevant tools and resources for the next generation of members. Credit union members are increasingly looking for an easier, less tedious way to send money that doesn’t involve creating a new account, waiting for the recipient to set up an account, waiting for the payment to be accepted and then waiting one to two days for the funds to appear in their account. For these members, mobile cardless ATM withdrawals offer a unique and useful way to send money to friends and family, which can strengthen the member’s relationship with the credit union. For members who need to send money to these underserved and/or bank-averse groups, mobile cardless ATM withdrawals offer convenience, simplicity and peace of mind. Footprint: Rather than starting from scratch, it makes sense to partner with a technology provider. The first consideration should be where cardless ATM withdrawals can be made. Is it only at the credit union ATM? Or will members be able to access and transfer money to ATMs all over the country? The footprint of enabled ATMs that can offer mobile cardless withdrawals is growing nationwide, which will offer members the ability send money to friends and family regardless of where they live. 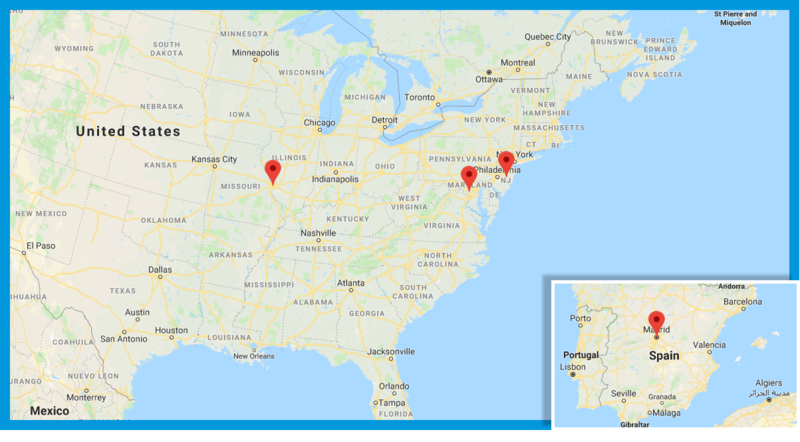 Technology: Technology is now available that enables any ATM in the U.S. the opportunity to “turn on” cardless withdrawals without the need for complicated technology upgrades or onerous installations. It can be as simple as labeling an existing button on an ATM and doing a simple software download. It can be just as easy to add the option to a credit union’s online banking platform. Security: Dual-pin authentication offers the highest level of security from any enabled ATM and is available today. In contrast, QR code readers require a significant upgrade to ATM machines, and while biometric scanners are touted for their security, they are years away from widespread adoption, if it happens at all. Time Gap: Many popular P2P transfer options such as PayPal and Venmo require days for money to be accessible (as well as a bank account), whereas mobile cardless ATM withdrawals offer real-time delivery of cash without the need for a recipient bank account. Once the recipient receives an almost instantaneous SMS to their mobile device alerting them that the cash is ready for pick up, along with the PIN, they can make the withdrawal at any enabled ATM (which they can locate via a mobile app). Convenience: While P2P transfer to an ATM is easy, fast and convenient, many members may also want the option to withdraw money if they forgot or lost their card. In this case, members can initiate a transfer to themselves from their account or through their mobile wallet, and have immediate access to their money, card-free. With consumers largely in the driver’s seat in the adoption of new mobile banking technologies, it is more important than ever to offer innovative tools that make lives easier for current and potential members. With mobile cardless ATM withdrawal technology, credit unions can compete with large financial institutions when it comes to sending money easily, as well as connect members with otherwise financially underserved friends and family, thereby positioning the credit union as forward-thinking and tech-savvy to future generations. Richard Witkowski is CEO of Pin4. He can be reached at 201-819-8924 or richard.witkowski@halcash.com.